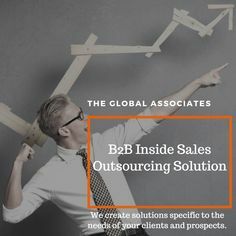 Leaving voice mail messages for the decision makers and waiting for them to respond is a part of the job of The Global Associates Lead Generation Companies. These voice messages give you an opportunity to be heard by these all important people when they are away from the din of their busy work schedule; thus making full use of their potential is very important for lead generation companies. Sadly, most sales representatives fail to realize the importance of these messages, leaving hasty voice calls that fail to impress the decision makers, and losing a golden chance to catch their attention. Here are some useful tips for making your voice mails more effective and result oriented. The decision makers are a busy lot in today’s business scenario, you need to make your voice mails short and precise; you cannot afford to lose time on unnecessary pleasantries or leaving long messages. They just won’t listen to the end. Finding and mentioning a good reference will give you an edge. Give a referral after your brief introduction, it will get them interested and chances are good that they will call you back. Lead generation companies need to research the issues of the organization they intend to get in touch with before actually calling them. It’s important to show the customers that you know their industry and their problems and pain points well. This will present you as a true professional, an industry peer they can trust. Customer must be the focus of your voice mail, harping upon your achievements will put them off. Concentrate on their issues and requirements to draw their attention. It’s imperative to be prepared with a script before calling so that you don’t waste the decision maker’s time. Give a brief introduction, mention a referral and talk about them; this will impress them more. Sticking with the above mentioned steps can help lead generation companies make their voice mail messages more effective. This will enable them to take the sales process forward as more decision makers are likely to call them back. Contact Us Today To Find Out How We Can Help You Meet Your Business Goals! The Global Associates is proud to be named amongst one of the top 10 Lead and Demand Generation Companies in India for the year 2016. Read About Us Here!